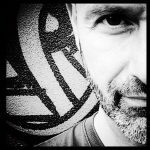 This blog has been in existence for more than four years and during that time I have been able to chronicle my exploration of many parts of the world, in effect my navigation of the twenty-first century world. 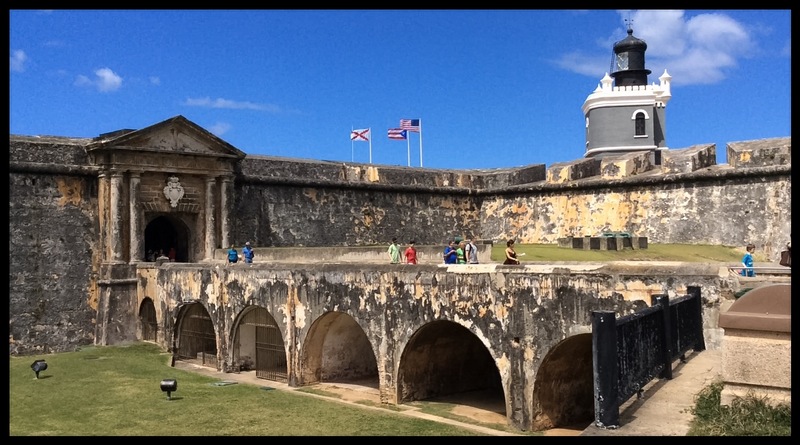 Prior to the birth of the blog in January of 2011, I traveled to many corners of the world, some of which are now off limits. As it is my intention to recount those experiences too, I do so when I can. 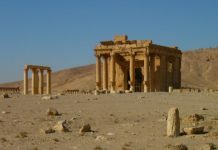 Recent events in the Middle East prompted me to begin writing with a bit more sense of urgency, specifically due to the nature of the threat that is currently being posed on one of the world’s most important cultural and historical treasures – the ruins of the ancient city of Palmyra in central Syria. I had the privilege of traveling there in 2008 and I never thought this magnificent site would be subject to the threat of destruction in my lifetime. I thought humanity had evolved past that sort of thing. Clearly I was wrong. 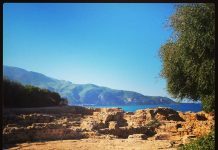 In this three part blog series I will chronicle the history of the site, its current state of being, the highlights of the site, and my experience with the locals. 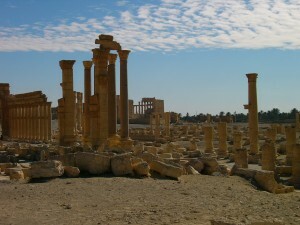 Palmyra was an ancient Semitic city, located in Homs Governorate, Syria and an important UNESCO World Heritage Site. Dating back to the Neolithic period, with stone tools discovered around the site dated to 7500 BCE. 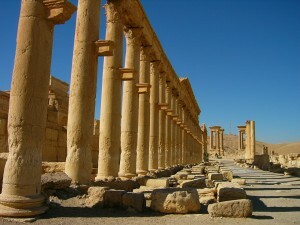 Palmyra began its rise to fame in the early second millennium BCE as a caravan stop for travelers crossing the Syrian Desert. The city was mentioned in the annals of the Assyrian kings. 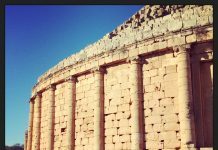 It was incorporated into the Seleucid Empire, followed by the Roman Empire, which brought it great prosperity and notoriety. 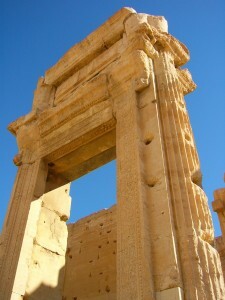 Palmyra’s wealth allowed the construction of many monumental projects. By the third century CE, Palmyra became a prosperous metropolis, with a strong army capable of defeating the Sassanid Empire in 260 CE under the leadership of the Palmyrene king Odaenathus who was assassinated in 267 CE. He was succeeded by his minor sons, under the regency of queen Zenobia, who started invading the Roman eastern provinces in 270 CE. The rebellion was masked by a nominal subordination to Rome. 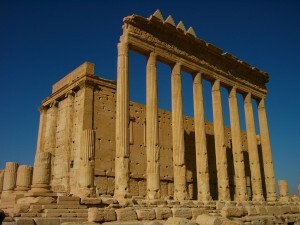 However, the situation escalated and the Palmyrene rulers adopted imperial titles in 271 CE. Roman emperor Aurelian defeated Palmyra in 272 CE, and destroyed it in 273 CE after a failed second rebellion. Palmyra became a minor city under the rule of the Byzantines, Rashiduns, Ummayads, Abbasids, Mamluks, and their vassals. 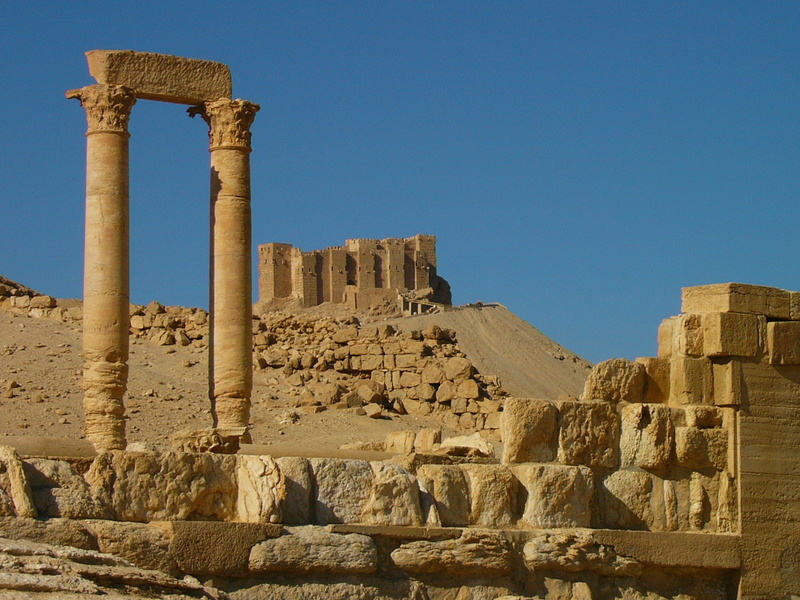 After being destroyed by the Timurids in 1400, Palmyra remained a small village under the rule of the Ottomans until 1918, then the Syrian kingdom, followed by the French mandate. In 1929 the French started evacuating the villagers into the newly built village of Tadmur. The evacuation was completed in 1932 and the site became abandoned and available for excavations. 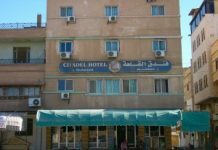 Over the past few years as a result of the Syrian Civil War, the site was subjected to wide scale looting and damage by the clashes between the combatants. In the summer of 2012, there was an increasing concern of looting within the museum and of the site. 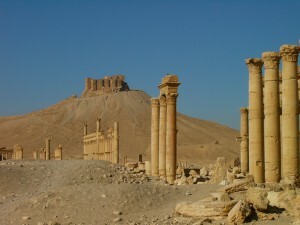 On 13 May 2015, The Islamic State of Iraq and the Levant [ISIL] also known as the Islamic State of Iraq and Syria [ISIS], an extremist terrorist group controlling territory in Iraq and Syria, gained control of the ancient site of Palmyra along with the modern city next door, raising fears that the group would destroy the UNESCO site. It was reported on 21 May that Islamic State forces had entered the area of the World Heritage Site itself, but that there had so far been no reports of the destruction of any ancient remains. Even more recently [May 22, 2015] it was reported that “fighters ISIL have entered the museum in the ancient Syrian city of Palmyra, placing guards at its doors, the country’s antiquities director Mamoun Abdulkarim has said. Abdulkarim confirmed on Saturday that the group had raised their flag over the ancient citadel that overlooks some of the spectacular Greco-Roman ruins in the city. Speaking at a press conference in Damascus, the antiquities director said some modern plaster statues in the museum had been destroyed but he did not report any damage to antiquities in the building. For the enlightened of the world lets hope that humanity is able to protect and keep this important cultural and historical site, as once it is lost, it is lost forever. 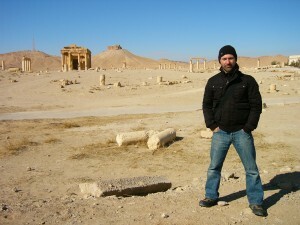 In part two of this series I will recount my experiences in Palmyra, walking among the ancient ruins.